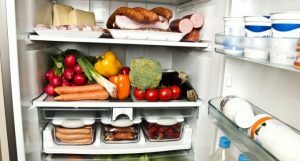 Stop Putting These Foods In the Fridge! From tomatoes that are getting a bit too squishy to leftover avocado slices you had from breakfast, we often think that it’s safe to store them in the fridge to keep them fresh and free from harmful bacteria. However, it turns out that when it comes to storing food in the fridge, not all are treated equally. The following items, which most of us often store in the refrigerator, are best kept at room temperature to keep them fresher for longer. Whether you bought plum, cherry or salad tomatoes, you probably keep them in the fridge to have them nice and cold. Surely, cool, crisp tomatoes are delicious for your salad, but it isn’t the best storing option if you want yours to remain sweet and juicy. The cool temperature of the fridge actually damages the membranes of the fruit, altering its taste and texture. An ideal option is to keep them on the counter to develop more flavour over the days. Many people falsely believe that keeping bread inside the fridge will make it last longer while keeping it fresh. However, in fact, the low temperature causes the starch in bread to crystallize more rapidly than it normally would at room temperature. Store it in a cool, dry place, unless you want stale and dried out loaves for your sandwich. There’s nothing more refreshing than biting into cold watermelon, but we recommend storing the fruit elsewhere—but only when they’re still whole. 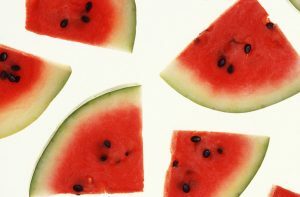 Once you’ve had your watermelon cut, wrap it in cling plastic film and store it inside the fridge. Bought a big bunch of bananas? You would probably stick them straight into the fridge. However, keep in mind that bananas are grown from tropical places and they aren’t designed to endure cold temperature. If they haven’t ripened yet, storing them in the refrigerator won’t ripen them at all; instead, they’ll turn black and mushy. 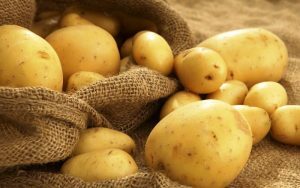 According to nutritionists and food experts, potatoes are one of those edibles you should never keep inside your fridge—as they can be harmful. When kept in the fridge, the starch content of the produce turns into sugar. When fried or baked, the sugar combines with asparagines (an amino acid) and produce acrylamide, a harmful chemical for your body. There is nothing more annoying than an unripe avocado. Sticking it in the fridge won’t even help as the cool temperature hinders its ripening process. Since you want them to be ready for your salad faster, keep them in brown paper bags together with a banana, instead. The ethylene in bananas will help speed up the ripening of your avocados. Refrigeration goes a long way to preserving your foods. However, for some, it can lessen the quality. When storing food after a trip to the grocery, make sure to store every item at the appropriate storage to keep them fresh for longer and, therefore, cut down on food waste.